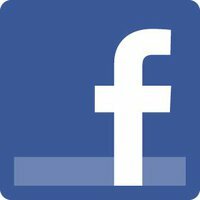 Click the images to enter the gallery. Click the "VIRTUAL TOUR" button to open a virtual tour of the gallery. Currently 24 galleries in this collection. Some of the Stockholm sites are not in this gallery but have got their own galleries and virtual tours, among others, Stockholm's City Hall, Vasa Museum, Drottningholm Palace Park, Ulriksdal Palace Park. To see them visit their dedicated virtual tours in the Gallery. The Musée du Louvre or officially Grand Louvre, in English, the Louvre Museum or simply the Louvre in Paris, France, is one of the world's largest museums, the most visited art museum in the world and a historic monument. 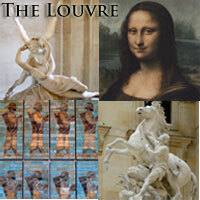 The museum is housed in the Louvre Palace (Palais du Louvre) which began as a fortress built in the late 12th century. The building was extended many times to form the present Louvre Palace. In 1682, Louis XIV chose the Palace of Versailles for his household, leaving the Louvre primarily as a place to display the royal collection. The Musée du Louvre houses 35,000 works of art drawn from eight departments, displayed in over 60,000 square meters of exhibition. In the 1st arrondissement, at the heart of Paris, France , The Louvre is one of the best known major visitor attractions in France. The Palace of Versailles or Château de Versailles, which has been on UNESCO’s World Heritage List for 30 years, is one of the most beautiful achievements of 18th-century French art. One of the best known tourist attractions in France, few places better showcase the opulence and grandeur of the French monarchy better than the Palace of Versailles. The site began as Louis XIII’s hunting lodge before his son Louis XIV transformed and expanded it, moving the court and government of France to Versailles in 1682. 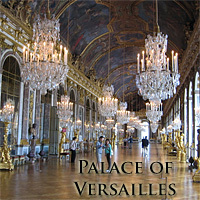 Each of the three French kings who lived there until the French Revolution added improvements to make it more beautiful. See the beautiful city of Shiraz in fullscreen panoramas. Shiraz, one of Iran's oldest cities and the fourth biggest in the country, has been the capital of Persia (current Iran) during the Zand dynasty and hosts quite a few interesting historical sites. Shiraz is known as the city of flowers and nightingales, refering to its beautiful gardens and two very famous poets; Sa'di and Hafez. There are quite a few beutiful mosques and other historical buildings showing the beutiful architicture, tile works and mirror tile works. 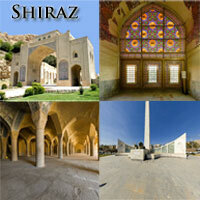 Shiraz is also famous for its grapes and according to the tradition known for its wine in the past. The city has given its name to the grapes (and subsequently wine) oriningated from here. All this plus the good atmosphere and friendly people make this sunny city well worth a visit, if not in real, as virtual reality panoramas. The City Hall of Stockholm (Stadshuset) is one of the most beautiful and well known buildings in the world and the most exclusive ballroom in Stockholm, for e.g. the yearly Nobel Banquet. The City Hall is known for its hospitality, its unique art treasures, magnificent banquettes and an intriguing history attracting close to 400,000 visitors a year. 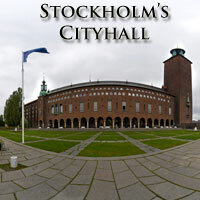 Architecturally Stockholm's City Hall is one of Sweden's foremost examples of "national romanticism". After 12 years of construction, the building was inaugurated on Midsummer's Eve in 1923. The City Hall Tower, topped by three crowns, the Swedish national coat of arms, rises 106 meters above the edifice. City Hall provides a workplace for politicians and civil servants. Scoured and gouged by ancient glaciers, Norway's fjords are a veritable wonderland. These deep, sea-drowned valleys, scissored by impossibly rugged terrain, were in 2009 voted by National Geographic Traveler magazine as the world's best travel destination. Staring gobsmacked at the imposing cliffs of Geirangerfjord. Appreciating art nouveau architecture in charming Ålesund. Thrilling to the delights of Bergen, a beautiful, charming city, with a World Heritage-listed neighborhood, Bryggen, and buzzing harbor, ringed by seven hills and seven fjords. All the images in this gallery plus many many more were taken during a road/trekking trip through Norway's west coast. You can read about the trip day by day and see many more images in the Blog. 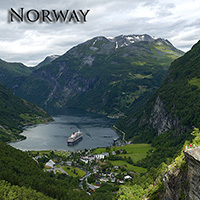 Look for the posts with the title "Trekking & Road Trip in Norway"! Scandinavia's most visited museum, the home of Wasa, probably the most ambitious and greatest warship ever built in Sweden. The ship sank during its very short virgin voyage 1628. On the 10th of August 1628, Vasa commences her maiden voyage but heels over and sinks in the middle of Stockholm harbour after sailing barely 1300 meters. 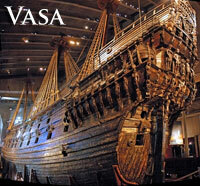 on the 24th of April, 1961, Vasa returned to the surface. A piece of the 17th century was suddenly back among us. After it was saved in 1961 this museum was built around it to build a museum for an extraordinary and surprisingly well preserved ship. Esfahan (or Arabaic Isfahan) is one of the oldest cities of Iran located between the cities Tehran and Shiraz. This 2500 years old city served as Persia's capital from 1598 to 1722 and was once one of the largest cities in the world. It is famous for its Islamic architecture, with many beautiful boulevards, covered bridges, incredible mosaic-covered mosques, palaces, and minarets. The Naghsh-e Jahan Square in Isfahan is one of the largest city squares in the world and an outstanding example of Iranian and Islamic architecture. It has been designated by UNESCO as a World Heritage Site. The Bazaar of Esfahan or Isfahan is a historical market, one of the oldest and largest bazaars in the Middle East, dating back to the 17th century. The bazaar is a vaulted two-kilometre street linking the old city with the new. The city also has a wide variety of historic monuments and is known for the paintings and history. Isfahan has long been one of the centers for production of the famous Persian Rug. 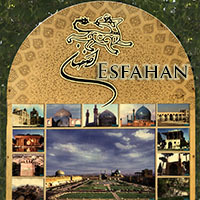 There is a persian proverb saying "Esfahan nesf-e jahan" (Isfahan, half of the world). Yazd, a city in central Iran and the capital of the Yazd province, is an ancient city dating back to the Sassanian Period (224-651 AD). Because of generations of adaptations to its desert surroundings, Yazd is an architecturally unique city. To deal with the extremely hot summers, many old buildings in Yazd have magnificent windcatchers, and large underground areas. Yazd is also one of the largest cities built almost entirely out of adobe. Because of its climate, it has one of the largest networks of qanats in the world. 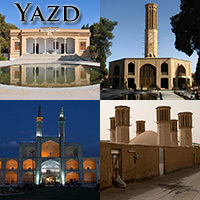 Yazd is a centre of Zoroastrian culture and its name has been derived from Yazdegerd I, a Sassanid ruler. There is a Tower of Silence on the outskirts, and the city itself has a Fire Temple, which holds a fire that has been kept alight continuously since 470 AD. 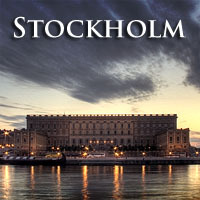 Sweden's second largest city situated on the west coast of Sweden. 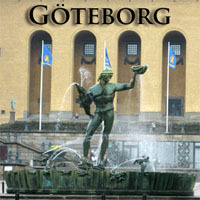 The City of Gothenburg was founded in 1621 by King Gustavus Adolphus. The city was heavily influenced by the Dutch and Dutch city planners were contracted to build the city as they had the skills needed to build in the marshy areas around the city. The town was designed like Dutch cities such as Amsterdam. The plan of the streets and canals of Gothenburg closely resembles that of Jakarta, which was built by the Dutch around the same time. It is the largest seaport in the Nordic countries.The home town of Volvo, SKF ball bearings, and Hasselblad cameras. Traditionally Gothenburg is an industrial city and the sea, trade and industrial history of the city is evident in the cultural life of Gothenburg. 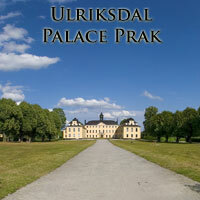 Ulriksdal Palace is situated on the banks of Edviken Lake in the National City Park in Stockholm. The palace was built in the 1600s and visitors to the palace witness many different epochs. Several Swedish regents have left their mark on Ulriksdal. 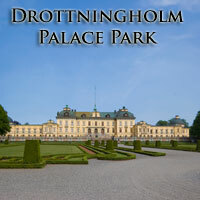 Queen Kristina built a pleasure garden in front of the palace and Hedvig Elenora built an Orangery in the park. Queen Kristina enjoyed the palace so much that she let her coronation procession proceed from Ulriksdal. Mallorca (English "Majorca") is the largest island of Spain. It is located in the Mediterranean Sea and part of the Balearic Islands archipelago, one of the autonomous communities of Spain. 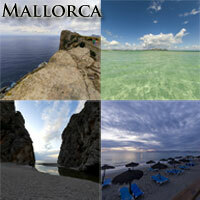 Mallorca is known as one of the most beautiful and exotic spanish islands. It has been a very popular tourist destination for Europeans since 1950:s. In 1960, Majorca received 500,000 visitors, while in 1997, it received 6,739,700. In 2008, 22,832,865 passengers passed through the Palma de Mallorca Airport with an additional 1.5 million arriving by sea. Majorca has two mountainous regions each about 70 km in length. These occupy the north-western and eastern thirds of the island. The highest peak on Majorca is Puig Major (1,445 m). 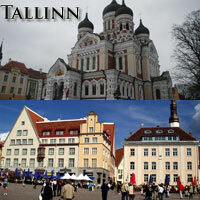 The origins of Tallinn date back to the 13th century. It developed as a major centre of the Hanseatic League, and its wealth is demonstrated by the opulence of the public buildings (the churches in particular) and the domestic architecture of the merchants' houses, which have survived to a remarkable degree. Tallinn is an outstanding and exceptionally complete and well preserved example of a medieval northern European trading city that retains the salient features of this unique form of economic and social community to a remarkable degree. The main attractions are in the two old towns (Lower Town and Toompea), both easily explored on foot. 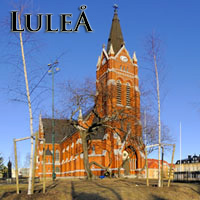 Luleå was already an important harbour in the 13-15th centuries. The original town was situated where Gammelstad (Old Town) is situated today. The town had to be moved in 1649 to the current site, due to the land elevation that had made the bay too shallow for ships to enter. The Gammelstad Church Town is a UNESCO World Heritage Site. 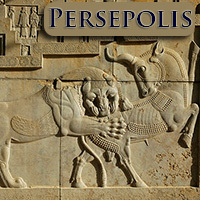 Persepolis was the ceremonial capital of the Achaemenid Empire (ca. 550–330 BC). Persepolis is situated 70 km northeast of the modern city of Shiraz in the Fars Province of modern Iran (ancient Parse). Founded by Darius the Great around 518 B.C., looted and burned by Alexander in 331–330 B.C. The site includes a 125,000 square metre terrace, partly artificially constructed and partly cut out of a mountain. Major tunnels for sewage were dug underground through the rock and a complex system of water channels and drainage was cut into the rocky terrace. Several palaces were then built on the terrace. King Darius the Great 'invented' Persepolis as the splendid seat of the government of the Achaemenid empire and as its center for receptions and festivals. The wealth and might of Persia was to be visible in every aspect of its construction. Persepolis was a showcase. UNESCO declared the citadel of Persepolis a World Heritage Site in 1979. 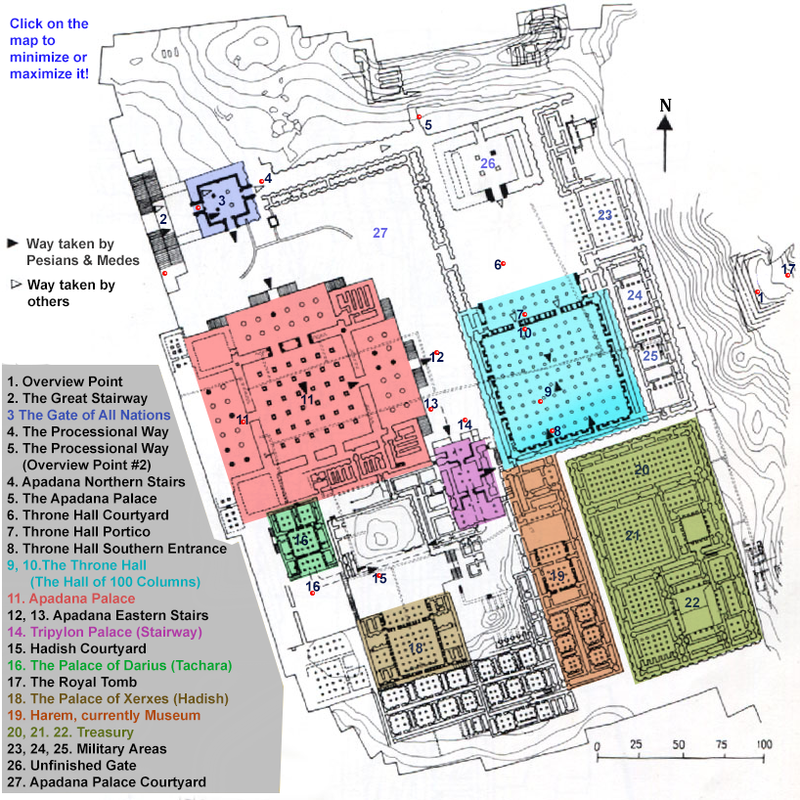 To see the plan of Persepolis with the photo points marked on it with red dots click here! 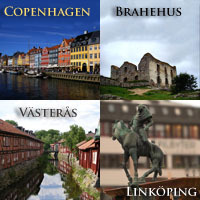 See panoramas from other places than Stockholm like Copenhagen; the royal capital of Denmark with the Amalienborg Royal Palace in the city center, Linköping; city in southern middle Sweden well known for its cathedral, Västerås; one of the oldest cities in Sweden and Northern Europe , Brahehus; a ruin in Sweden, Ulricehamn lake; a beautiful lake with camping facilities by its shore, Karlstad. Bishapur, "the beautiful [city] of Shapur", as the name indicates was founded by king Shapur (241-272 AC). Like the bridge at Shushtar, it was built by Roman soldiers who had been captured after the defeat of the Roman emperor Valerian in 260. Many aspects of Bishapur's architecture look Roman e.g. the "Hippodamian street plan" (or the grid plan). The core of the city is the old castle, situated in a steep rock. The oldest monument was relief I in the Tang-e Chowgan gorge. Reliefs II and III commemorate the defeat of Valerian. While these were cut, the city, palace, and the so-called Temple of Anahita were built by the Roman prisoners of war. Later monuments include reliefs V, IV, and VI. The city, surrounded by walls that stood ten meters high, was inhabited by some 50,000 to 80,000 people. The main monuments have been excavated between 1935 and 1941. Most of the city is still buried. Naqsh-e Rostam, is situated a few kilometers northwest of Persepolis, the capital of the ancient Achaemenid empire. 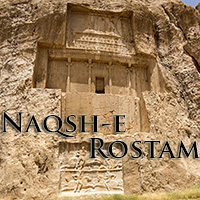 As is shown by a pre-Achaemenid relief and several old graves, Naqsh-e Rostam was already a place of some importance when king Darius I the Great (522-486 BC) ordered his monumental tomb to be carved into the cliff. Later, similar royal rock tombs were added. they belong to Darius' son and successor Xerxes (486-465), his son Artaxerxes I Makrocheir (465-424) and his grandson Darius II Nothus (423-404). Archaeologists are almost certain that the tombs were closed after the burial. After Alexander the Great had overthrown the Achaemenid empire, the doors were smashed and the tombs were looted. After the fall of the Achaemenid empire, Naqš-i Rustam remained important to the Persians. After 260 CE, the Sasanian king Shapur I had a monumental relief cut out in the rock, showing how he made Philippus Arabs ruler of the Roman empire and received the defeated Roman emperor Valerian. 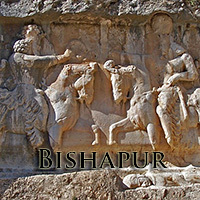 Other reliefs were added by Shapur's successors. The oldest of the historic monuments in Tehran, the Golestan Palace (Flower Garden Palace or Rose Garden Palace). Originally i citadel built during the Safavid dynasty (1524-1576). Agha Mohamd Khan Qajar (1742-1797) chose Tehran as his capital. The Arg became the site of the Qajar (1794-1925).Court and Golestan Palace became the official residence of the royal family. During the Pahlavi era (1925-1979) Golestan Palace was used for formal royal receptions. The most important ceremonies to be held in the Palace during the Pahlavi era were the coronation of Reza Khan (r. 1925-1941) in Takht-e Marmar and the coronation of Mohammad Reza Pahlavi (r. 1941-deposed 1979) in the Museum Hall. 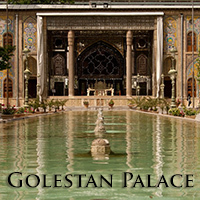 In its present state, Golestan Palace is the result of roughly 400 years construction and renovations. The buildings at the contemporary location each have a unique history. 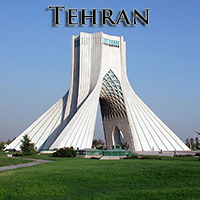 Tehran is the capital of Iran. With a population of around 8.3 million and surpassing 14 million in the wider metropolitan area, it is the countries's largest city and urban area, and one of the largest cities in Western Asia. The city is home to many historic mosques, churches, synagogues and Zoroastrian fire temples. Tehran is ranked 29th in the world by the population of its metropolitan area. Throughout history, the capital has been moved many times, and Tehran is the 32nd national capital of the country although it has been a capital city for about 220 years. In the early 18th century, Karim Khan Zand ordered a palace, and a government office to be built in the city, possibly to declare the city his capital, but later moved his government to Shiraz. Tehran finally became the capital of Iran in 1795, when the Qajar king Agha Mohammad Khan was crowned in the city. Chichen Itza, the archaeological site, a UNESCO World Heritage Site, located in Yucatán State, Mexico was a large pre-Columbian city built by the Maya people of the Terminal Classic period. 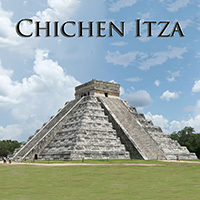 Chichen Itza was one of the largest Maya cities and is one of the most visited archaeological sites in Mexico; an estimated 1.4 million tourists visit the ruins every year. Chichen Itza's El Castillo has been named one of the New Seven Wonders of the World. 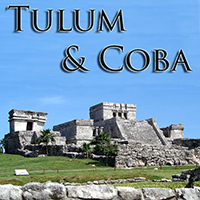 Tulum is a pre-Columbian Mayan walled city. The ruins are situated on 12-meter (39 ft) tall cliffs along the east coast of the Yucatán Peninsula (Mexico) on the Caribbean Sea. The walls surrounding the site allowed the Tulum fort to be defended against invasions. Tulum was protected on one side by steep sea cliffs and on the landward side by a wall that averaged about 3–5 meters (9.8–16.4 ft) in height. The wall was about 8 m (26 ft) thick and 400 m (1,300 ft) long on the side parallel to the sea. Coba is an ancient Mayan city on the Yucatán Peninsula, Mexico. it contains many engraved and sculpted stelae that document ceremonial life and important events of the Late Classic Period (AD 600–900) of Mesoamerican civilization. The site contains a group of large temple pyramids, the tallest, Ixmoja, is some 42 metres (138 ft) heigh. Ixmoja is among the tallest pyramids on the Yucatán peninsula. Coba was estimated to have had some 50000 inhabitants (possibly significantly more) at its peak of civilization, and the built up area extends over 80 km². The Vatican Museums (Musei Vaticani) display works from the immense collection built up by the Popes throughout the centuries including some of the most renowned classical sculptures and most important masterpieces of Renaissance art in the world. The museums contain roughly 70,000 works, of which 20,000 are on display. The museums were founded in the early 16th century. The Sistine Chapel, with its ceiling decorated by Michelangelo and the Stanze di Raffaello decorated by Raphael, are on the visitor route through the Vatican Museums. The Papal Basilica of St. Peter in the Vatican or simply St. Peter's Basilica is the most renowned work of Renaissance architecture and one of the largest churches in the world. 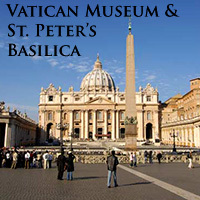 St. Peter's is regarded as one of the holiest Catholic shrines. It has been described as "holding a unique position in the Christian world" and as "the greatest of all churches of Christendom". To view the Gallery panoramas you need Adobe Flash Player.